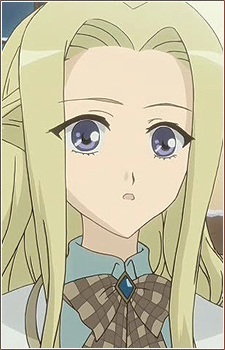 The student council president of Spica, she is a very shrewd girl and is constantly scheming something. However, despite her initial demeanor, she is moderate in personality and rather disinclined towards extreme measures and outright obstructionism. This is in contrast to her associates Kaname Kenjou and Momomi Kiyashiki. After the current Etoile graduates, she would like very much for an attendant of Spica to become the next Etoile and is constantly pushing for this to take place. Her best bet right now is to try to convince Amane Ootori to consider the position.